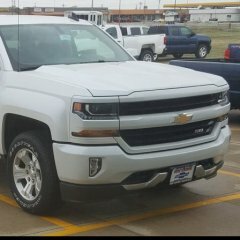 if anyone comes across a 2017 chevy cluster they can't use, post the link or PM me! I've been waiting to hear some info on this ever since you posted about it on Facebook and Instagram, I've emailed back and forth with Josh a little bit about it and was waiting to see if the e46 replicas also fit the 17 silverado's. That pic showing the stock projector and the e46 one makes me want to get this done ASAP! if you find it that it was a 17 chevy cluster, id be interested in buying it from specmo and sending to you to have programmed for my 2017!